It is no surprise that the Tampa, Florida, area has a large number of retirement communities. In addition to having a plentiful amount of sunshine, mild winters, and miles of white-sand beaches, the Tampa Bay area is a vibrant part of the state with a seemingly unlimited number of things to do and see. The growth in the number of retirement communities here is the result of more and more older adults seeking to enjoy themselves as much as they can after they have put their working years behind them. 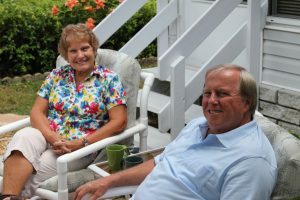 The Tampa Bay area is a magnet for retirees hailing from both inside and outside the state, as well as Canada and other foreign countries. One of the premier retirement communities in the Tampa, FL, area is StrawBerry Ridge, a 55+ community that is owned and managed by award-winning developer Blair Group. Located just a short drive east of downtown Tampa in Valrico, StrawBerry Ridge offers a winning combination of affordable manufactured housing, great onsite amenities, and a busy activities schedule. In fact, StrawBerry Ridge isn’t just a place to live … it’s a lifestyle. We offer an inclusive and affordable environment where retirees can enjoy themselves to the fullest in the company of friendly neighbors who share in the desire to do the same. For additional information about StrawBerry Ridge, and to schedule a visit to see for yourself why it is justifiably called one of the best retirement communities in the Tampa, FL, area, please contact our Lifestyle Team today.